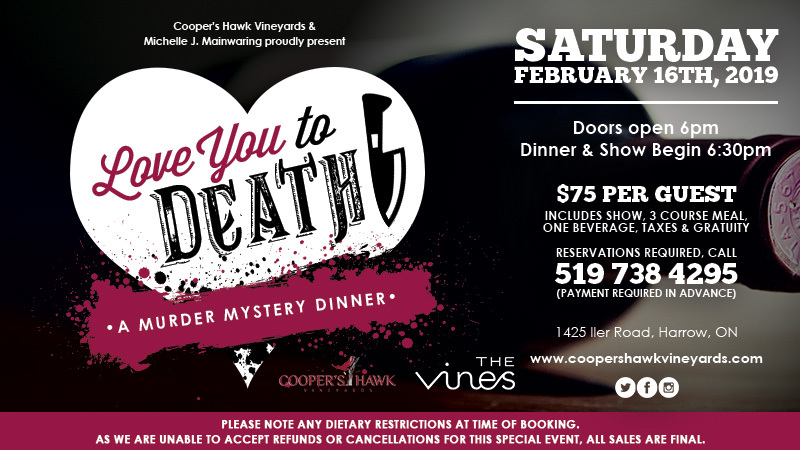 Back by popular demand, Cooper’s Hawk Vineyards and Michelle J. Mainwaring proudly present “Love You To Death”, Saturday, February 16, 2019.  Join us at Cooper’s Hawk Vineyards for an evening of food, mystery and fun! Allow our exquisite culinary team to take your taste buds on a memorable journey, all while enjoying quality, live entertainment. Time: Doors open at 6pm. Dinner and show begin at 6:30pm. Price: $75.00/person – includes show ticket, 3 course meal, one beverage, tax and gratuity. Tickets are required. Please call 519-738-4295 to purchase or order online at https://coopershawk.ihubapp.ca/events/611?postTypeId=whatsNew . *Please note any dietary restrictions at time of booking. **As we are unable to provide refunds or accept cancellations for this special event, all sales are final.